Brad Vandenberg, the COO at HumanProofDesigns.com (HPD), recently reached out to us, unsolicited, to share his experience. Brad watched the company he works with explode from 15 staff members to 200 in less than 18 months, thanks to Philippines outsourcing. Not only was HPD able to expand its employment by more than ten times, it began offering more services to its clients and better compensation to its employees. HPD repeatedly uses OnlineJobs.ph to find and hire affordable virtual workers, who make HPD’s expansion possible. In early 2016, Human Proof Designs was a small team creating affiliate websites, or niche websites as many people think of them. Dom Wells (the owner) was full time, there was a part time web developer, and some freelance writers and editors. Fast forward to January 2018, and with many thanks to Filipino staff hired through Onlinejobs.ph we have a staff of over 25 full time managers, researchers, web developers, and customer service reps, plus over 175 part-time staff in various roles throughout the company. How did we go from 15 staff to over 200 in 18 months? 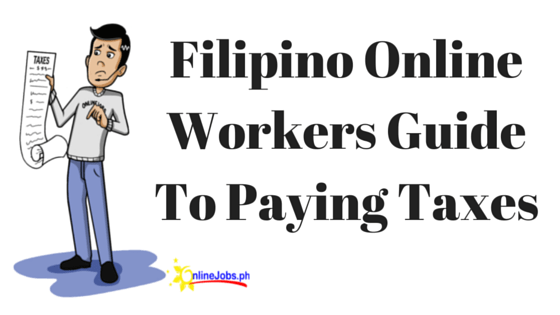 The short answer is: In large part, because of our Filipino staff, hired through Onlinejobs.ph. When I joined the team in 2016, Dom had a vision for where he wanted to take the business. From his own industry contacts experience, coupled with what I’d been hearing about hiring Filipino freelancers we both felt that this was the way we wanted to go. Dom began teaching me the processes inside his business and then it was my job to find staff and train them. I’d been working with a VA on my personal websites, and I’d found her on Onlinejobs.ph. She kept my sites going when they would have otherwise been stagnant. Dom and I decided to try the workforce available at Onlinejobs.ph; within a couple months I’d hired and onboarded several Filipino staff, and several new departments inside our business were fully staffed. We truly couldn’t believe the quality of the work force and the rates were very affordable. If you’ve been involved in a business that’s grown massively, you’ll know that cash flow issues can be just as bad when growing rapidly as it is when sales are dropping rapidly. So, not only the quality of our new staff, but the affordable wages allowed us to go through this rapid growth phase and begin to offer other services as well. In 2016 we had 2 offerings: Niche websites and articles. Today, we’ve been able to provide higher quality starter Authority Sites to give aspiring internet marketers a great start, massively improved training for our site buyer, and we are soon releasing an Internet Marketer’s training course, including how to hire and train virtual staff. I am regularly contacted by the Filipino staff members to thank me for hiring them. They relate to me how having this job has changed their lives. I don’t own Human Proof Designs so I can’t speak as a business owner, but being involved in Operations I have to say my job has been made much easier by the diligent, ambitious staff we’ve recruited through Onlinejobs.ph. Plus, it is incredible to know the positive impact the business is making in our customers lives, but also for our staff. There’s no middleman – we can simply negotiate a suitable wage, hire the VA, and there’s complete freedom for both the VA and the employer. We’re not subject to the whims of a platform who might increase their clawback of the assistant’s wages, or make any other number of changes that shouldn’t really be present inside an Employee/Employer relationship. The Filipino culture is truly amazing. Be prepared to become friends with your staff and have a great relationship. My hope is that these relationships will be lifelong no matter what happens in business. The massive size and scale of talent, ability, and simply the number of people available to choose from. Loyalty: To date, we have had only 1 Filipino leave the HPD team; the circumstances were very understandable, and he now works for me on my own sites! Respect, Honesty, and Diligence: Co-workers from the Philippines have been consistently respectful, and willing to go the extra mile. I’ve always appreciated the honesty exhibited as well. In short, we owe a lot to our Filipino staff, and in turn to Onlinejobs.ph for connecting us. Thank you John Jonas and team! Want to know more on how outsourcing can work for you? Read Catherine’s story, Kimberley’s experience, and Marcella’s advice. Brad Vandenberg has been Chief Operations Officer of HumanProofDesigns.com for 2 years. In those 2 years, he’s been able to hire and work with dozens of staff from the Philippines and has come to greatly appreciate and respect the Filipino work ethic, manner, and all around great personalities. Thanks again to onlinejobs.ph for connecting us with so many great team members. And thank you Brad and Human Proof Designsfor sharing your story! being a part of outsourcing industry, there has been a significant increase in freelancers from Philippines. Have seen their work, and quality is amazing.